SHINee's Taemin and BewhY met on Mnet's 'The Call'. 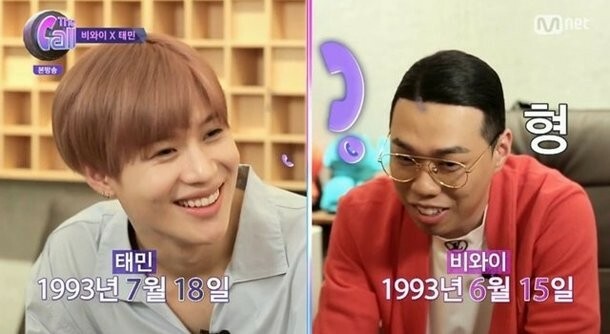 On�the June 22 airing, Taemin and BewhY took the time to get to know each other. 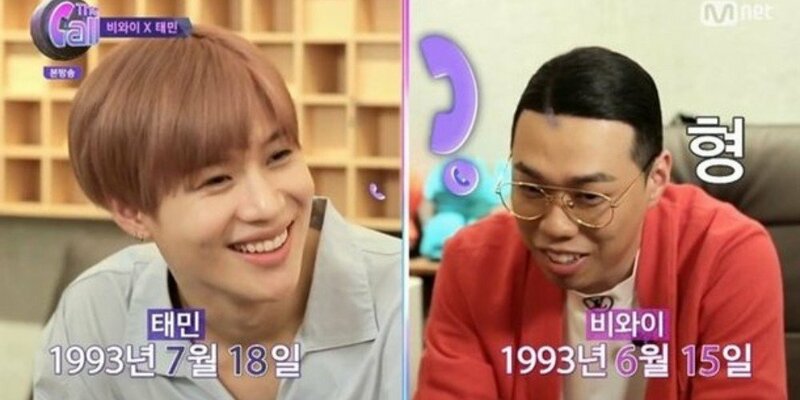 While having a chat, the two realized they were born in the same year 1993, and that Taemin is actually a month older than BewhY.